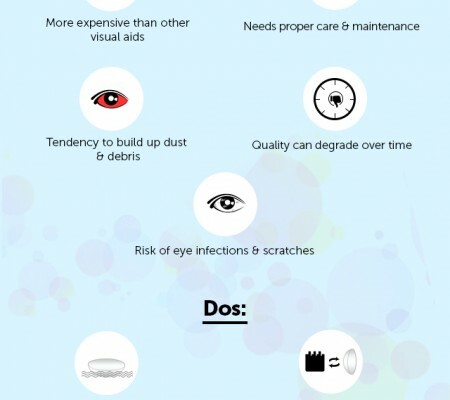 Contact lenses, a refreshing replacement from wearing heavy eyeglasses, were welcomed with open arms by millions of people having problem with their vision. Such a relief it was from wearing eyeglasses! Now they can at least maintain their original look. Hardly anybody liked the extra burden on their face. 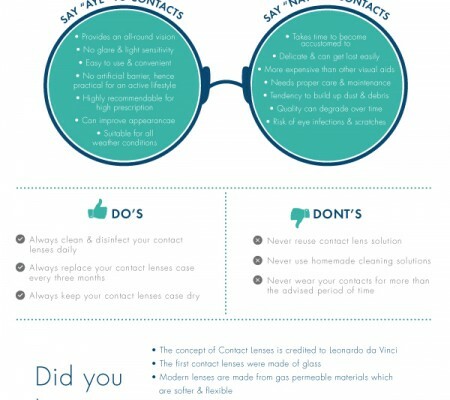 That’s why contacts are so popular. And now we are going to explain about how this popular eyewear works. Contact lenses are placed on top of the cornea with a constant supply of tears. Our eyelids always keep on extracting pressure which helps in holding the contacts in place. Each time we blink, the exerted pressure from the eyelids move the contacts a bit to glide over cornea. This movement allows flushing out of debris by tears which could have build up in your eyes causing irritation. Now, don’t think that this is the very way how vision is corrected. In fact, it is only a small part of it. The real way of vision correction is a completely different ball game. According to their vision problem, which are basically of four types, contacts are prescribed to a wide variety of people. These four types are myopia, hyperopia, presbyopia and astigmatism. In each case, due to some reason or other, the retina is not able to focus light on the exact place resulting into blurred vision. 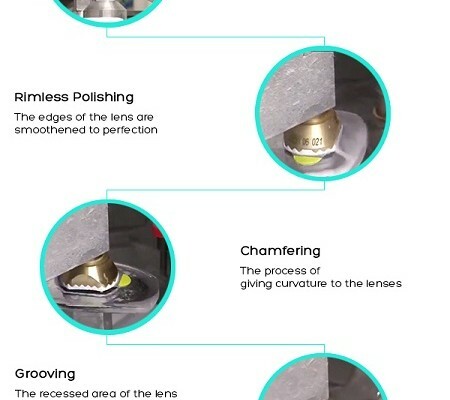 The contacts are manufactured strictly based upon the vision problem it is going to fix and the eye condition. Let me explain. If you are suffering from nearsightedness or myopia, your eye doctor will measure the cornea accordingly to make the Contact lens fit your eyes perfectly. This lens will re-direct the rays of light to the exact spot on the cornea resulting into crystal clear vision. In case of myopia, lenses are built thinner in the middle and gradually thicker towards the edges. For astigmatism, as the cornea is generally of oval shaped, the contacts also get made to fit such eye condition. By now, you must have understood that the technology behind any kind of contacts is to process light correctly by the retina to fix the vision problem. But each lens is made as per the necessities of that particular vision problem. And here are some top-of-the-line contacts – Johnson & Johnson contact lenses, Bausch & Lomb contact lenses, Ciba Vision contact lenses – to provide you sharp vision with unparalleled comfort.